Finally, there was Roger Ebert (18 June 1942-4 April 2013). Ebert was a film critic for the Chicago Sun-Times from 1967 to 2013, a total of 46 years! With crosstown critic Gene Siskel of the Chicago Tribune, the two of them patented the words “Two Thumbs Up” whenever Gene and Roger liked a film. (A thumbs-down meant that the duo thought that a movie stunk.) During his tenure, Ebert reviewed literally thousands of films. Though the general population tends to frown on most critics, Ebert received a Pulitzer Prize for his work as a critic with the Sun-Times. It was a proud moment for him. Roger Joseph Ebert graduated from the University of Illinois in his hometown of Urbana, Illinois. As a graduate, Ebert received a Rotary fellowship where he studied for one semester in South Africa. He majored in journalism and graduated in 1964. As a student, Ebert wrote film reviews for the U of I’s newspaper The Daily Illini. In October 1961 at the age of 19, he wrote an article on his (eventual) all-time favorite movie—Fellini’s La Dolce Vita. Roger Ebert pursued a Doctor of Philosophy (PhD) degree at the University of Chicago. He moved to the Windy City during the mid-1960’s. To earn extra money, he applied for a job with the Chicago Daily News in 1966. Though he wrote freelance articles for the Daily News, the newspaper turned Ebert down for a job. Instead, he was referred to and thrived for the next 47 years at the Chicago Sun-Times. Then on April 3, 1967, Ebert succeeded Eleanor Keane as the paper’s new film critic. Due to being overwhelmed by his reporter’s job, working as editor for the book An Illini Century: One Hundred Years of Campus Life and the pressures of graduate studies, he left the U of Chicago to focus on his newspaper career. As a film critic, Ebert’s reviews seemed to come from the heart. When one read a review of his, one could hear Roger himself speaking to us. His passion for film thrived through the newspapers, television and—over the last decade—the Internet. His analogies for each picture tended to open up a door to another world we’d come to see on the big screen. 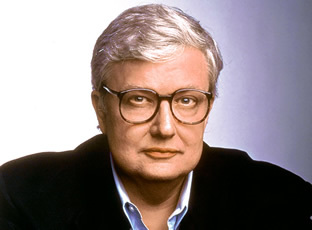 Though stoic in character, Ebert had no trouble telling audiences about why he liked or disliked the films he reviewed. People looked to him not as a critic but as someone they could relate to. Ebert’s 1975 Pulitzer Prize for Criticism (in which he was the sixth person to receive it since its 1970 inception) was only a stepping-stone within his career. Siskel and Ebert’s popularity went way beyond the balcony. They appeared on numerous talk shows including Late Night with David Letterman and on Saturday Night Live. Gene and Roger were depicted on an animated episode of Dr. Katz. Mad magazine even took liberty to parody Siskel and Ebert (which ironically Roger read and he claimed it helped him with his movie reviews). Nickelodeon, a cable network for children, had their own version of At the Movies in the mid-1980’s. Called Rated K—For Kids by Kids, kids from ten to their early teens reviewed and rated films that were currently in the theatre or recently out on video. Using the alphabet, “K” was their “ultimate rating” while the remaining 25 letters were used at random. For example, an “A” could either stand for “Awesome” or “Awful”. Gene Siskel and Roger Ebert enjoyed meeting their fans, which extended beyond the confines of Chicago. It wasn’t a surprise if fans greeted and were greeted by the two film critics with a thumbs-up. But what is surprising to many is that Roger Ebert tended to be a jack-of-all-trades. It wasn’t always about which films were good or bad. Ebert had written essays and interviewed a variety of directors and actors and actresses for the Sun-Times. He asked—as well as enjoyed—hearing their points-of-view on their (pardon the pun) take of the movie they were working on. And so did we! Other ways Ebert showed his talent was writing numerous screenplays including 1970’s Beyond the Valley of the Dolls and—with Russ Meyers—Up! (1976) and Beneath the Valley of the Ultra-Vixens (1979). He wrote an article for The World Book Encyclopedia on the actor James Dean (Rebel Without a Cause, East of Eden). Film historian Arnie Bernstein interviewed Ebert and other movie personas who called Chicago home for his book Hollywood on Lake Michigan. Ebert had written the Foreword to another of Bernstein’s works. Aptly titled The Movies Are, Bernstein collected author Carl Sandburg’s film reviews and interviews from the 1920’s. Before writing his renowned biography of the 16th President of the United States, Abraham Lincoln, Sandburg himself was a film critic for the Chicago Daily News between 1920 and 1928. Movies that Sandburg reviewed included Charlie Chaplin’s The Gold Rush and The Kid (both made in 1925) and Buster Keaton’s The General (1926). He also wrote about the first “talking picture” 1927’s The Jazz Singer with Al Jolson as well as such horror classics as Phantom of the Opera (1925) and The Cabinet of Dr. Caligari (1921). But Roger Ebert made his own mark in the literary world. (For a complete listing, please see “Works of Roger Ebert” listed below.) In 1967, he began work as editor for Illini Century for his alma mater, the University of Illinois. And with a lot of film buffs out there, Ebert posted an annual edition of his Video Companion. It had an assortment of his film reviews from earlier years. These books also contained interviews and his “Questions for the Movie Answer Man”. Roger Ebert passed away on 4 April 2013 after an 11-year battle with thyroid and salivary-gland cancer. He is survived by his wife of 20+ years Chaz Hammelsmith Ebert, two stepchildren and four grandchildren. His last words from his blog at RogerEbert.com were the same from his years on his program he co-hosted with Gene Siskel, Richard Roeper and others: “I’ll see you at the movies.” Ebert’s final film review was To the Wonder with Ben Affleck, Rachel McAdams and Javier Bardem. Roger gave the movie three-and-a-half stars and the article was printed on 6 April 2013, two days after his passing. Gene Siskel and Roger Ebert may be gone. The duo, however, lives on in Chicago as they had a street named for them. Roger Ebert is the only film critic to have a star on the Hollywood (CA) Walk of Fame. There is also the Gene Siskel Film Center in Chicago and the annual Ebertfest, a film festival in Roger’s hometown of Urbana, Illinois. But Chaz Ebert carries on her husband’s legacy by writing a blog on his Web site, which includes an occasional film review of her own. There are still a lot of movies to watch, re-watch and continue for us to get excited about. Thank you, Gene and Roger, for your all of your insights and input to the film world. We salute you both with two thumbs UP!